Looking for a Chicago venue that will wow guests at your next event? The city delivers in a big way, with spaces ranging from sky-high perches with amazing views in some of the world’s tallest buildings to lakeside venues that take full advantage of Chicago’s stunning waterfront. We’ve selected six to get you started. WOW FACTORS: Millennium Park is Chicago’s downtown playground for the arts, creating a giant expanse of green space in the Loop. There are several event venues located throughout the sprawling park, including the stage of the architecturally (and acoustically) impressive Jay Pritzker Pavilion, the Rooftop Terrace that offers dazzling skyline views and the tree-lined Chase Promenades, just steps from Michigan Avenue and overlooking the popular Cloud Gate sculpture. Depending on which venue you choose, Millennium Park can accommodate up to 7,000 people. WOW FACTORS: This iconic Chicago landmark dramatically juts out into Lake Michigan, providing sweeping water and skyline views. Navy Pier offers two exhibit halls and 36 meeting rooms. 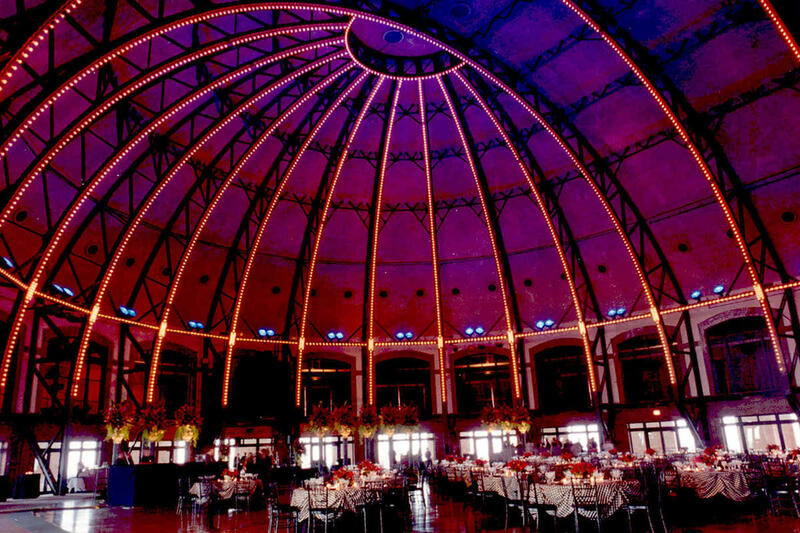 But the real stunners are the nostalgic 18,000-sq.-ft. Aon Grand Ballroom, which is original to Navy Pier’s 1916 construction and features an 80-foot-tall domed ceiling (accommodating up to 1,100 for dinner, with additional seating for 300 in the balcony); and the seasonal Rooftop Terrace, a 27,000-sq.-ft. space equipped with a 50-by-100-ft. tent that can accommodate 350 for a sit-down dinner or 1,000 guests on the entire terrace. 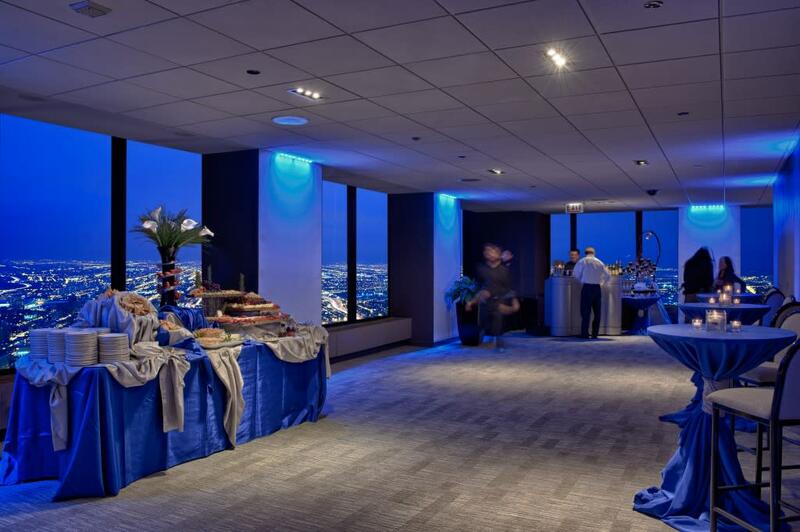 WOW FACTORS: This hidden gem venue is located 25 stories atop the historic Tribune Tower, at the juncture of North Michigan Avenue and the Chicago River. 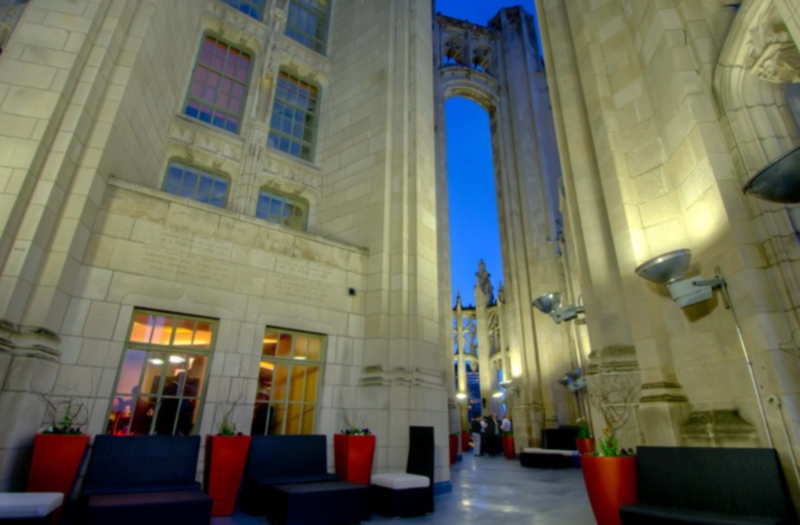 The private outdoor veranda nestled within the flying buttresses of the neo-Gothic Tribune Tower’s 25th floor affords guests dramatic views of the city. The venue also includes an indoor lounge featuring a copper-topped bar decorated with vintage printing plates from the venerable Chicago Tribune newspaper. The Crown can accommodate up to 150 people for cocktails. WOW FACTORS: This waterfront space science museum offers out-of-this world venue options. The spectacular Solarium features floor-to-ceiling windows overlooking Lake Michigan. Book the Solarium (370 seated dinner/477 cocktail reception) and guests will have access to the adjacent outdoor terraces with Chicago skyline views. 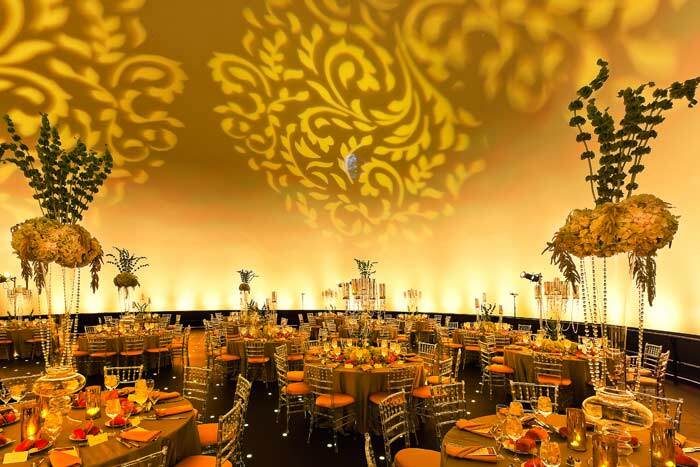 The Grainger Sky Theater is perfect for presentations or cocktails (195 theater seating/400 reception), and features a dramatic 36-foot-tall domed ceiling. The Clark Family Welcome Gallery features futuristic architecture and colorful customizable lighting, making it the perfect spot for an intimate dinner or reception (80 seated/150 cocktails). Arrange for a thrilling private sky show or high-tech telescope viewing in the Doane Observatory. WOW FACTORS: Located on the 94th floor of 875 N Michigan (formerly the John Hancock Center) (the fourth-tallest building in the city), 360 CHICAGO was named one of the Best Views in America by Travel + Leisure, offering panoramic views of the city, Lake Michigan and four states. 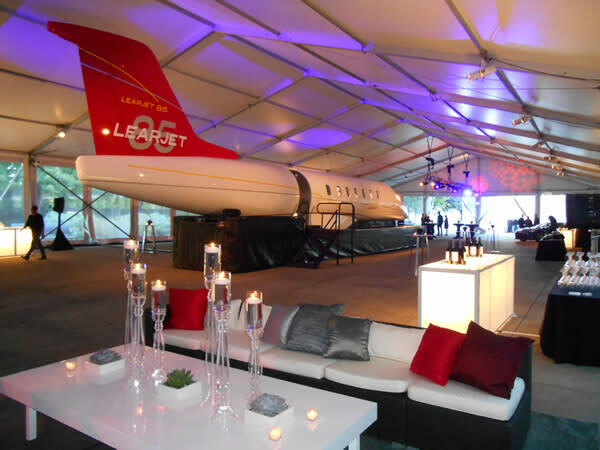 360 CHICAGO offers four flexible event spaces that can accommodate groups as small as 10 and up to 550. Each space offers stunning views, with vistas of the cityscape, lakefront and The Magnificent Mile below. Or do a full buyout of the entire 94th floor and bask in true 360-degree views. 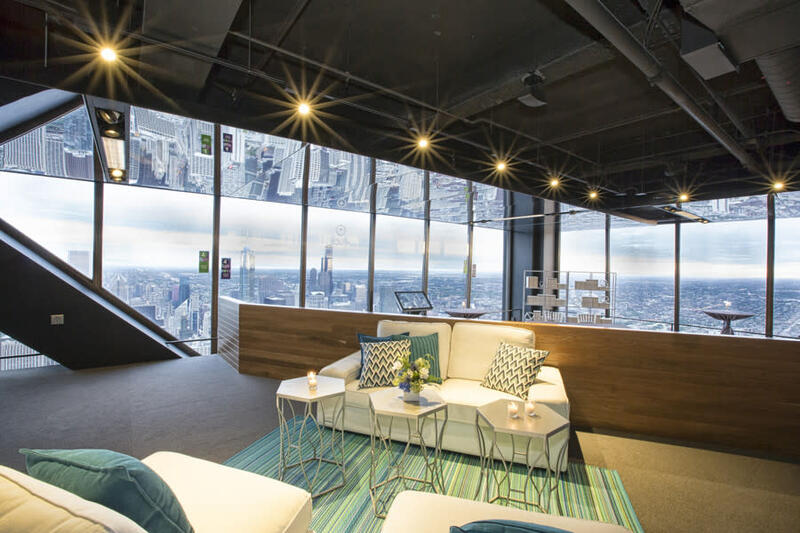 WOW FACTORS: Take your next meeting or event to new heights at the 99th-floor Willis Tower Skydeck, located in the tallest building in the Western Hemisphere. Your guests will be treated to jaw-dropping panoramic views that can span up to four states and nearly 50 miles on a clear day. The flexible venue space can be set up theater, classroom or reception style, accommodating up to 175 seated/300 for a reception. Time your cocktail event at sunset to see the city transform from day to glittering night. You can also arrange for private VIP access to The Ledge, composed of glass balconies that extend four feet beyond the building to create an unforgettable viewing experience from 1,353 feet up in the air, located on the 103rd-floor Skydeck Chicago (the highest observation deck in the United States).